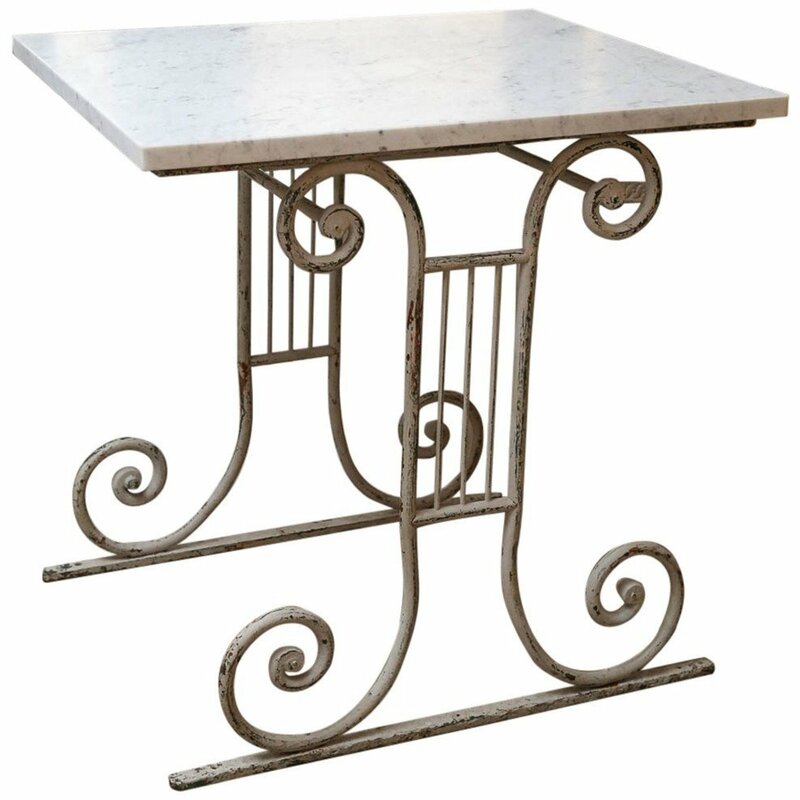 Late 19th century table de boucherie, with a painted scrolled iron base and later Carrara marble slab top. Condition: ExcellentWear consistent with age and use. Minor losses to painted finish and patina at the base.